Dies R Us: Oh Deer! 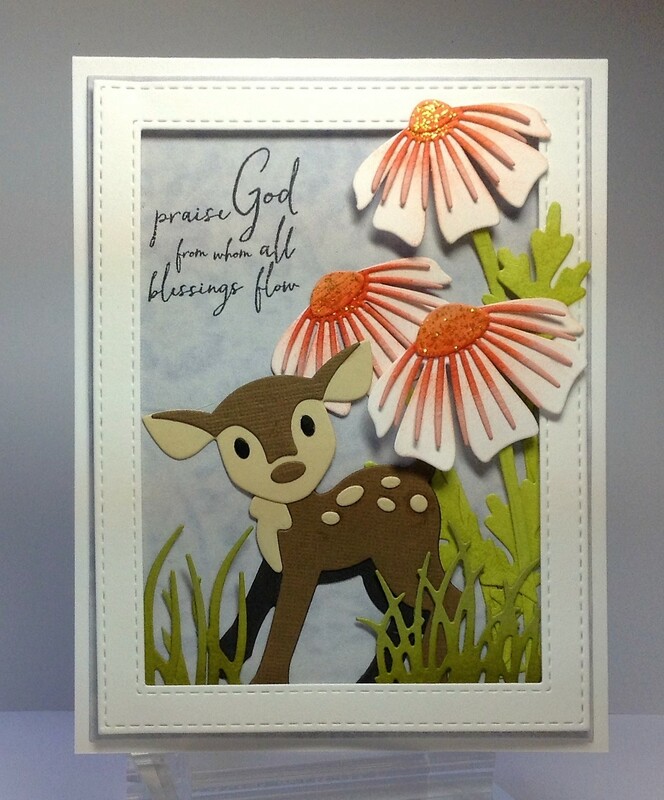 Hello, Birgit here and I'm playing around with these cute little deer from Marianne Designs. 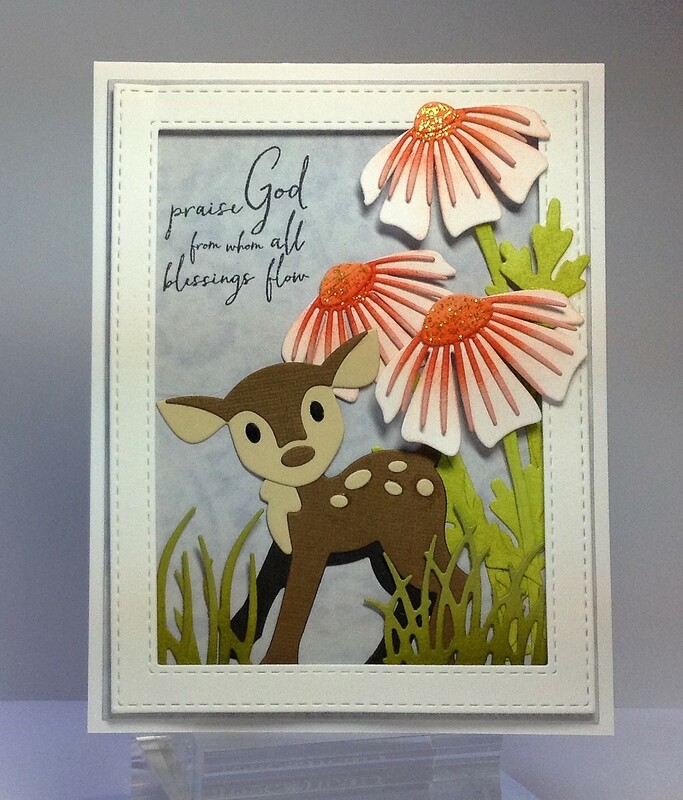 These dies were offered on Special Order for a short period of time at the Dies R Us online shop. If you haven't signed up to receive their newsletter yet, I hope this post will encourage you to do so. You'll be one of the first to find out about special orders from some amazing die companies from over seas, get inside tips on HUGE sales and you can pre-order HOT NEW ITEMS before they sell out. Now, are you ready to see more of this sweet little deer? Let's go! 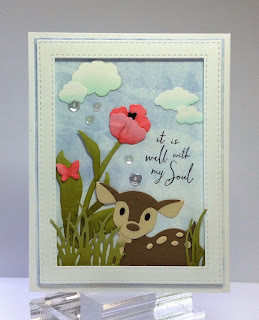 I started by cutting out the flowers from Dee's Distinctively and adding some distress inks to all the pieces. 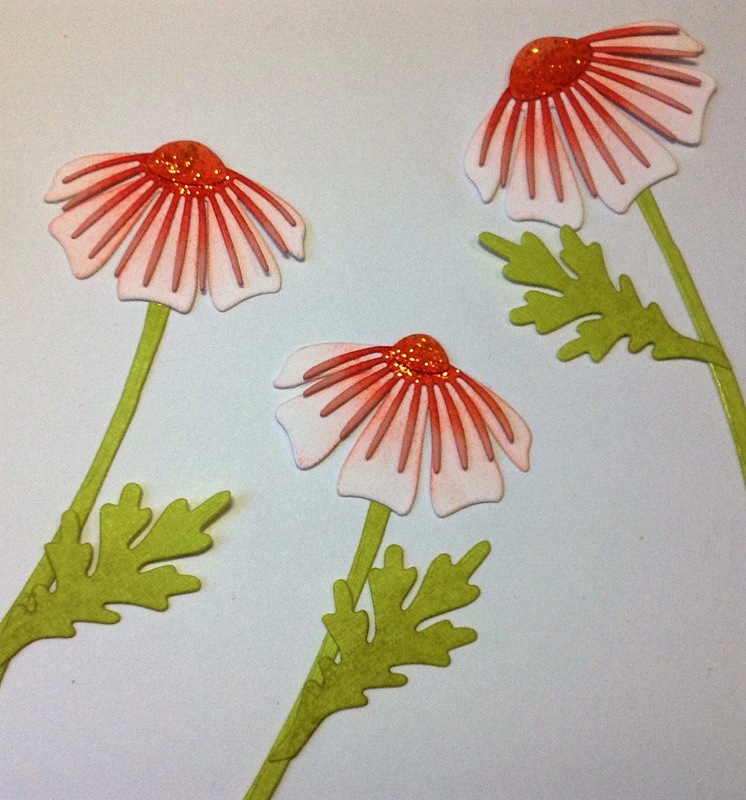 I added the stems and leaves from Elizabeth Craft Designs Daisy and assembled the flowers. I added some orange stickles to the center of each flower and set them aside to dry. I then moved on to the die cutting and assembling the little deer and set them aside. I cut two stitched rectangles from design paper and two of my all time favorite frames from Impression Obsession. 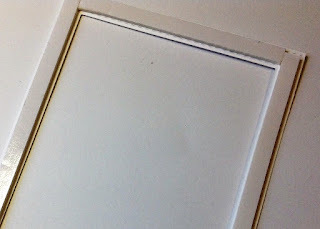 I added foam tape to the back sides of both frames. I then laid out the design on the design paper background and stamped an encouraging sentiment. I added grasses from Impression Obsession and Clearly Besotted. I mounted the panel to the card front and added the frame on top. I carefully lifted the flowers out from under the frame before pressing the frame firmly onto the card panel and added some foam squares under the flowers that are raised above the frame. Check out that dimension! And, that adorable little deer! 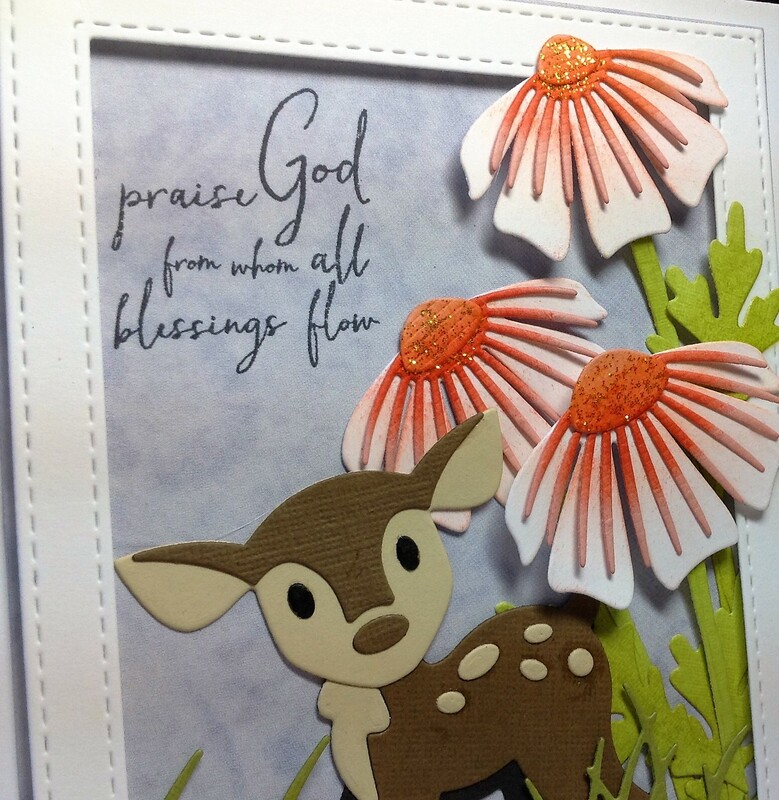 Here's a second card I made using the tulip from Elizabeth Craft Designs. 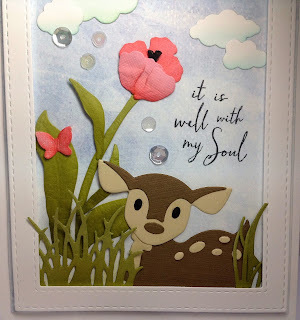 I also added some lightly inked clouds from Dies R Us and a mini butterfly that I shimmered up with a bit of Wink Of Stella. Clear sequins give this card a dreamy finished look. 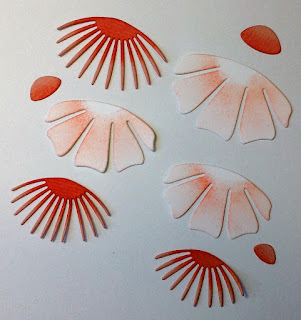 Today's Tip: Many of the dies I used here are not currently showing up in the store because they're in the process of moving to a larger warehouse, where they can offer us more amazing dies. Once the move is complete and they get their inventory in order, the dies will be put back on their website and brought back in stock. I hope you enjoyed today's cards. Thanks so much for stopping by! Both fabulous cards Birgit, they could be framed and made into pictures! 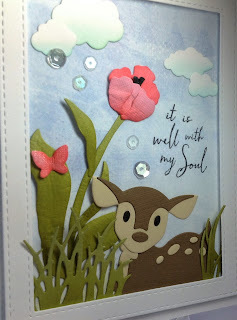 Thank you for a great tutorial, the flowers are just gorgeous and the deer cute! These are ADORABLE Birgit! Awesome tips & tricks and thanks for the reminder to our followers about the newsletter! Great job with this cute little deer! LOVE how you framed off your card to showcase that sweet little deer. 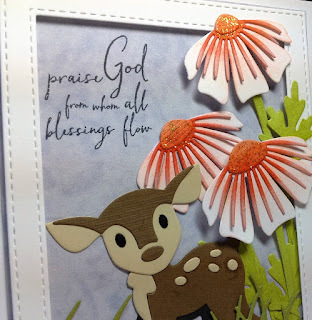 I also just love that flower die, it is awesome, so much depth and dimension! Both cards are fantastic! These are both just adorable!! 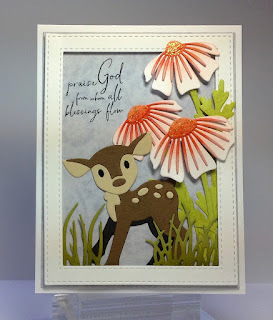 Love how you have the flower coming out over the frame, great job on the sky and that deer is just too cute! 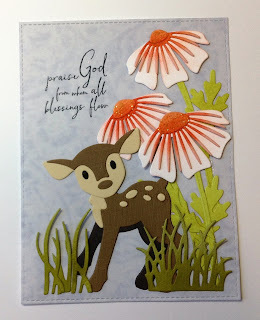 I love these cards Birgit......so cute! You always seem to catch my eye with your flowers hanging over the edge. Great technique! Thanks for letting us know that the store is relocating and their inventory will be back to par soon so I can order some of these adorable dies you've used. Wow Brigit your card is adoraable!!! I love it. I am loving those flowers. Think I will need to grab some for me. Awe so cute, reminds me of Bambi, Awesome scene with fab details on this beauty. Those flowers go on the wish list too.